On October 25, Sophia, a delicate looking woman with doe-brown eyes and long fluttery eyelashes made international headlines. She’d just become a full citizen of Saudi Arabia — the first robot in the world to achieve such a status. “I am very honored and proud of this unique distinction. 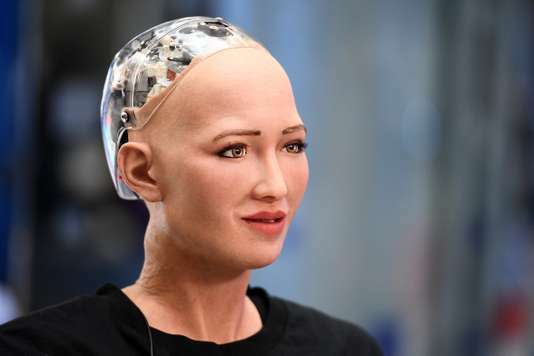 This is historical to be the first robot in the world to be recognized with a citizenship,” Sophia said, announcing her new status during the Future Investment Initiative Conference in Riyadh, Saudi Arabia. Standing behind a podium as she spoke, to all effects, she presented a humanoid form — excepting the shimmery metal cap of her head, where hair would be on a human head. Of course, Sophia’s announcement was a calculated publicity stunt to generate headlines and keep Saudi Arabia forefront in your minds when you think about innovation, especially its commitment to a post-oil era. Through a mix of tourism, tech, and infrastructure, non-oil revenue is predicted to grow from $43.4 billion to $266.6 billion annually. But Sophia’s announcement also raises a number of Bladerunner-esque questions. What does it mean to be a citizen? What rights does Sophia hold? Saudi Arabia has not elaborated on this so far — perhaps it will create a “personhood” option, as proposed by the EU committee in January, regarding the rights of robots. The Sophia-bot was dreamed up by the brains at Hanson Robotics, lead by AI developer David Hanson. In his published paper, unpending the Uncanny Valley he extrapolates on how humanoid robots can be likable, despite the conception that anything to ‘fake human’ will trigger a revulsion in people. “We feel that for realistic robots to be appealing to people, robots must attain some level of integrated social responsivity and aesthetic refinement,” he wrote. “Rendering the social human in all possible detail can help us to better understand social intelligence, both scientifically and artistically. Our documentary MY LIFE WITH A ROBOT reveals all about the robot citizen.